The 65th edition of the Rose Ball will be held Saturday, March 30, 2019, Hall of Stars Sporting Monte Carlo. This is one of the major charity events in Monaco. Created in 1954, it benefits the Princess Grace Foundation. Each year, H.R.H. Princess of Hanover selects a new theme. For several years Karl Lagerfeld was the designer of the event. Last year he was again invited to design the Ball, his fifth time to accept the honour. And 2019 this March the Bal will no doubt feature a remembrance to him. 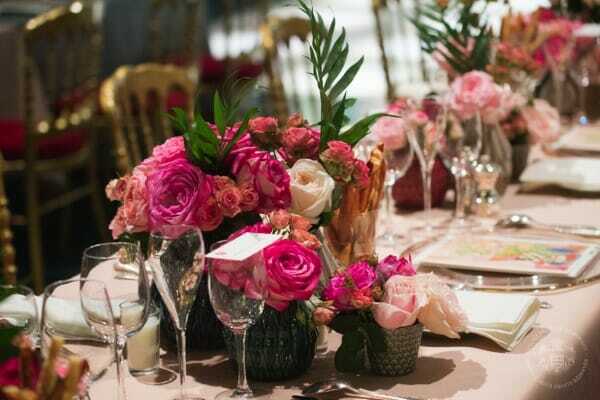 There are always ravishing bouquets of thousands of roses decorating the Salle des Etoiles in the Sporting d’Eté complex. Top-name performers delight the audience, who grace the event with their finest attire. This prestigious fund-raising event is open to the public. Currently presided by H.S.H. the Sovereign Prince Albert II and H.R.H. Princess Caroline of Hanover, the Rose Ball is a symbol of glamour that maintains the fascinating Monte-Carlo legend that it has helped create. In March 2013, the year of the 150th anniversary celebration of the Monte-Carlo SBM Group, the event was renamed Rose Ball on The Rock for the occasion. Thanks to Karl Lagerfeld‘s artistic talent, the Salle des Etoiles was transformed into a “Belle et Pop” ballroom.